This is the next post in our series on handling Rochester, Minnesota pedestrian accident cases. Our last article discussed pedestrian accidents involving commercial vehicles. You need to hire a personal injury attorney with the resources necessary to litigate such claims or run the risk of your case not being handled correctly. 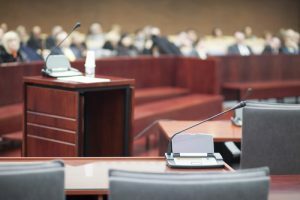 In this article we will discuss another important topic – the need for expert witnesses in such cases. If you or a loved one have been injured, contact our office today to speak with a lawyer. Expert witnesses are always required in any case involving serious injuries. Under the rules of evidence, one must be classified as an expert in order to testify on issues involving specialized training, skill, or experience. Experts are required to testify in regard to a victim’s medical condition, his financial damages, and, sometimes, how the crash occurred. As we will discuss in greater detail in our upcoming post on what to expect while receiving treatment for injuries sustained in a pedestrian accident, a victim’s damages cannot be calculated until his care is completed and his future medical needs can be reasonably ascertained. Permanency of injuries and prognosis is provided by treating medical providers or by an Independent Medical Examination (IME) of the victim. Medical experts generate reports stating their opinions as to the cause and extent of the injury, the need for future treatments, medications, surgeries, rehabilitative therapy, and other required medical supports. The report usually includes an estimate of the costs of future care and the physical limitations, if any, that a victim has been left with. The defense has the opportunity to retain its own experts, who can typically be expected to issue opinions covering the same issues. The defense experts can be counted on to come to much more optimistic conclusions than a victim’s treating physicians or retained independent medical examiner. Another type of expert often utilized established how the accident has impacted the victim’s ability to earn a living. These vocational specialists analyze the medical experts’ reports, evaluate a victim and use other information to come up with an opinion as to whether the victim can return to a former job or has to change careers, or whether he or she can return to the workforce at all. The vocational specialist, or in some cases an economist, issues an opinion as to the amount of money the victim can reasonably expect to earn over the rest of his or her working life and the amount he or she could have expected to earn before the injuries. Predictably, the defense retains its own vocational or economic professionals who just as predictably come up with sunnier conclusions. It is difficult to prove economic damages in serious pedestrian cases with vocational consequences without the types of professionals described above. When selecting a personal injury attorney, it is vital to retain a firm with the resources necessary to hire and wisely use these professionals. If you retain a firm without sufficient experience and financial resources, you will have difficulty receiving full compensation for your injuries. Our Rochester pedestrian accident lawyers have recovered more than $125 million on behalf of victims and we are ready to assist you. Besides Rochester, we serve the following major southeast Minnesota cities: Red Wing, Winona, Mankato, Austin, Albert Lea, and Owatonna, and all outlying communities, as well as the cities of Minneapolis, St. Paul, Duluth, and Bloomington. We also serve the Iowa cities of Mason City, Charles City, Osage, Spencer, Garner, Forest City, and Northwood and the Wisconsin cities of La Crosse, Onalaska, Sparta, Viroqua, River Falls, Ellsworth, Whitehall, and Black River Falls.